Made of transparent material in paper box or wooden case. 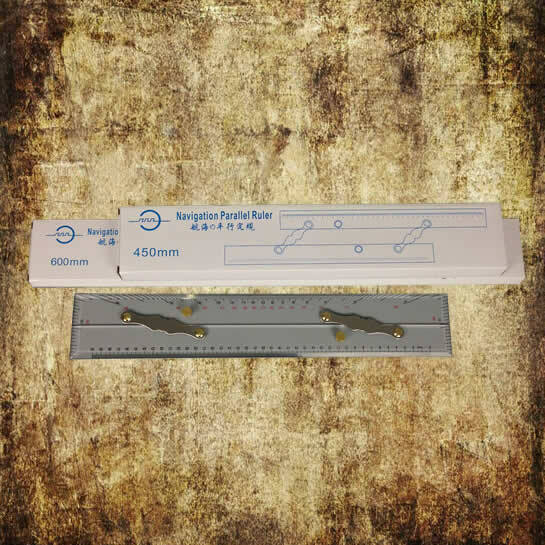 Available in plain or with semi circle protractor. “Inoue” type and “Kent” type are available. 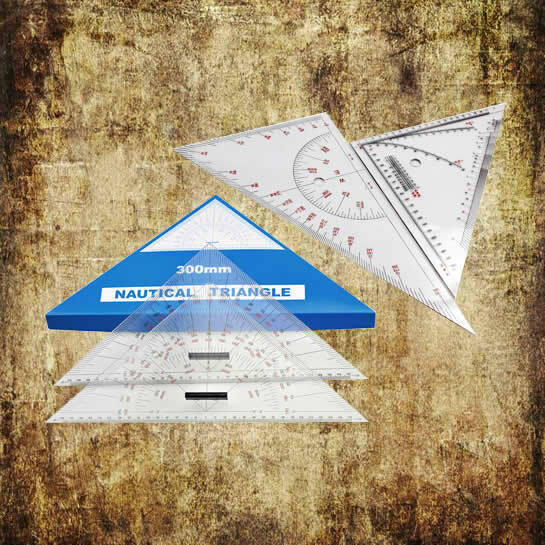 Two 45° triangles provide an easy method for plotting position and course and doing other chart works. 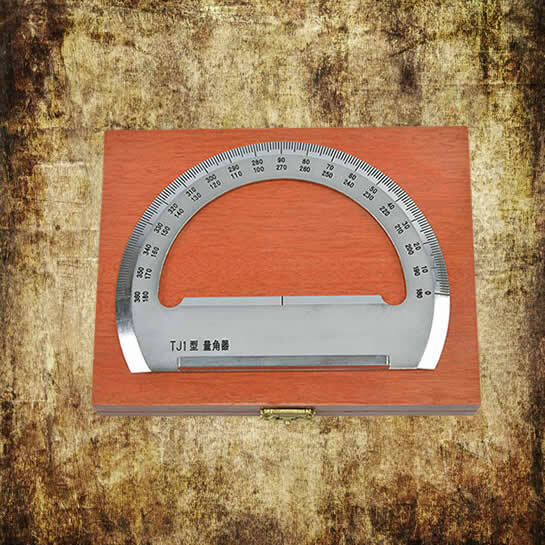 Using protractor scales, the triangle is easily aligned in any direction with a chart meridian. Direction is maintained as one triangle is slid along the other to the desired position. Durable, clear. Long side length 300mm.